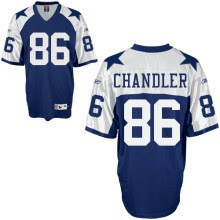 Merely one of the jerseys Buffalo's Scott Chandler barely ever wore. 1. Previews for the Oakland-Buffalo, Green Bay-Carolina, and San Diego-New England games. 2. Some surprising facts about the Buffalo Bills and their Week One accomplishment. 3. Considerably more sass than frass. Note: the author has replaced yards per run with success rate as the standard by which ORUN+ and DRUN+ are evaluated, on account of run success rate correlates with winning more strongly. • Last week, the Buffalo Bills were the only team in the league to post above-average numbers in every one of the four factors (pass efficiency, pass efficiency allowed, run success rate, and defensive run success rate) en route to beating Kansas City, 41-7. • Of course, one will note, a single game is a small sample. • One will also note, however, that Kansas City was a better team than Buffalo last season and playing at home -- an advantage that would give one completely average team about a 57% chance of victory over another completely average team. • Quarterback Ryan Fitzpatrick's relationship with tight end Scott Chandler proved particularly fruitful, as Chandler caught all five passes thrown to him, for an average of 12.6 yards per target (YPT) and 1.71 expected points added per play (EPA/P). • This is the same Scott Chandler who had one reception in 14 career games entering the season. • You, reader, are very probably a lying liarface if you claim not to've been surprised by Cam Newton's NFL debut last week in Arizona. • Newton's line from that game (with ranks among all QBs where relevant): 37 Att, 27 Cmp, 422 PassYds, 11.4 Y/A (1), 8.7 AYPA (3), 0.25 EPA/P (7). • This, from a quarterback praised considerably more for his athleticism than for his quarterback-specific skills. • Unfortunate for Carolina is how their defense allowed the second most yards per pass attempt in Week One. • And how the Green Bay passing offense is likely stronger than the Arizona one. • In this game, one can find last year's best offense (New England) against last year's second-best offense (in San Diego). • The Patriots, with their performance against Miami, also enter Week Two of this season as the league's best offense, after recording 10.5 net yards per pass (NY/A) and a 60.9% success rate on the run (relative to a league average of about 40%). • The Charger passing game was less stellar (6.6 NY/A), but the pass defense absolutely dominated Donovan McNabb and the Vikings. • To wit: McNabb's adjusted yards per attempt (AYPA, which includes adjustments for interceptions and touchdowns) was actually negative (-1.6). • That's the wrong direction, Donovan McNabb. I am absolutely baffled by Jim Harbaugh's decision to take the field goal after a personal foul would have given his team a first down and the chance to drive for a touchdown. Is his decision at all defensible? It seems like with his reasoning you could justify kicking a field goal on first down, as well. Love your site and have been following it for 3 years now. I have a question. One of the cool things about stats is trying to identify and weigh the pieces of the puzzle (run/pass/int etc) that correlate ultimately to winning. Some times teams get all the pieces right but still lose on the scoreboard. The intangible factor I suppose. I have often wondered what the correlation to winnning is of perhaps the second most basic stat after Wins/Losses, that being Points per Game scored and allowed. I wonder if that is added to the mix would it help to identify a team's ability to turn performance down the field into the final product, namely points on the board?